An early advocate and pioneer of digital distribution and filmmaking, Liz is a digital film and media expert. She advises international media companies, film financing organisations, filmmakers and film festivals about using cutting-edge distribution and production techniques and new film business models. Liz is currently Digital Distribution Strategy Advisor to the UK Film Council. Liz was the Programme Director of Digimart’s Global Digital Distribution Summit, a ground-breaking event that brought together, for the first time ever, leading filmmakers, innovators and digital pioneers from around the world who are building new film distribution models. She is regularly invited to speak at international conferences, film festivals and leading film schools including Berlin, Cannes, Rotterdam, London and Edinburgh Film Festivals, Screen International Conferences and lectured at EAVE, The Media Business School in Ronda, BAFTA, The National Film and Television School, for Skillset, The ICA and The National Film Theatre in London. She is also the founder of Earthly Delights Films, a production company that develops independent media projects. She was one of the producers of feature film The Trouble With Men and Women which was released in the US last summer through The Independent Film Channel and is currently launching an online animation project and series, Marsipan. 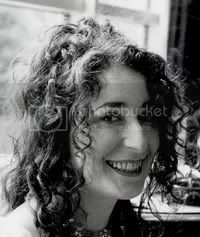 Liz set up and ran the UK office for Next Wave Films (a Santa Monica-based company of the Independent Film Channel US) from 1998 to 2002. Next Wave Films was a pioneer in the production, finance and sales of ultra low budget features and digital filmmaking. The company helped exceptionally talented filmmakers, from the US and abroad, launch their careers. Their award-winning films include Christopher Nolan’s Following (Winner: Tiger Award, Rotterdam ’99, Silver Hitchcock, Dinard ’99), Joe Carnahan’s Blood, Guts, Bullets & Octane, Kate Davis’ Southern Comfort (Grand Jury Prize, Sundance ’01), David and Laurie Shapiro’s Keep The River On Your Right: A Modern Cannibal Tale (Special Jury Award, Amsterdam ’00), Amir Bar-Lev’s Fighter (Best Documentary, Karlovy Vary ’00), Josh Aronson’s Sound and Fury (Grand Jury Prize, Sundance ’00, Academy Award nomination ’01). Tishna has been the Producer for all Power to the Pixel’s services since its first cross-media forum in London in 2007. She has worked across film, tv, publishing and advertising. She was a Director’s Rep at leading commercials production company Home Corp where she represented UK and international directors’ work to advertising agencies, bringing in national and multi-national campaigns for brands including Glaxo Smith Kline and The Times. She produces content through her production company, Bandit HQ. Projects include Dummy Jim with BAFTA Scotland award-winning filmmaker Matt Hulse. The website was commended by the Helen Keller Award, a multi-media art competition which challenges perceptions of deaf blindness through the arts. Other film projects include BAFTA-winner Mark Walker’s first feature Sherwood Caskets, developed through the Cinéfondation, la Résidence in association with the Cannes Film Festival. From 2006 – 2008 Tishna was a Visiting Tutor on the University of Westminster’s MA Screenwriting & Producing. Between 2002 – 2006 she worked as Development Producer at award-winning independent production company Tall Stories. During her tenure there, she was sponsored by UK Film Council to work with Gary Winick’s ground-breaking US production company InDigEnt on Michael Lehmann’s Flakes starring Aaron Stanford and Zooey Deschanel. Her feature film production credits include Nicolas Roeg’s Puffball (2007); Ntshavheni Wa Luruli’s The Wooden Camera (Winner of the Crystal Bear, Berlin 2004); Christian Taylor/Lindy Heymann’s Showboy (Winner of The Douglas Hickox Award, BIFA 2002). Prior to working in production, Tishna was a Partner at the film and literary agency Michelle Kass Associates where she established a new client base of directors and writer/directors including Emily Young (Kiss of Life, Veronika Decides to Die) and Stefan Gates (Cooking in the Danger Zone). Michael Gubbins is a media and film consultant and journalist. He is the former editor of leading film industry paper Screen International and its website ScreenDaily.com. At Screen, he put digital change at the heart of the title’s agenda for the international film industry. As well as Screen, he has written editorials in The Times and articles in numerous international titles. He has been quoted in leading newspapers including The Guardian, Telegraph, Times and Independent in the UK. He has been featured on television including the BBC’s main film programme, ABC News (US), CNN, BBC World, Channel Four News and ITN. Radio broadcasts have included BBC Radio 5 and the Film Programme. He has been working on consultancy projects and special reports with a number of bodies including the UK Film Council, the Swedish Film Institute, BAFTA, CineRegio, the Screenwriters Festival, Olsberg SPI and Power to the Pixel. He has spoken on film issues, particularly digital change, at more than 50 events in the last five years, including the Cannes, Berlin, Rotterdam, London, Edinburgh and Hong Kong film festivals. The father of two was the recipient of a Fuji Film scholarship as director in the 1980s. Michael Gubbins, a consultant to leading European film bodies and former editor of film trade paper Screen International. Rosie Lavan is a freelance journalist and writer from London. She is currently working with Power to the Pixel on a series of case studies and articles for The Pixel Report. Rosie graduated from Oxford University in 2005 with a first in English and subsequently took the postgraduate Newspaper Journalism course at City University, London. She was recruited directly to The Times as online business journalist, where work included multimedia and archive projects. She has also worked as media assistant to a London MEP and as a reporter for Hansard in the House of Lords. In 2009 Rosie was named a finalist in Vogue magazine’s Talent Contest for Young Writers. Her work has also appeared in Oxford’s Cherwell newspaper, Isis magazine and regional titles in Cornwall and Ireland. She has recently returned to Oxford, where she holds a Violet Vaughan Morgan Studentship, for postgraduate study of 20th century literature.